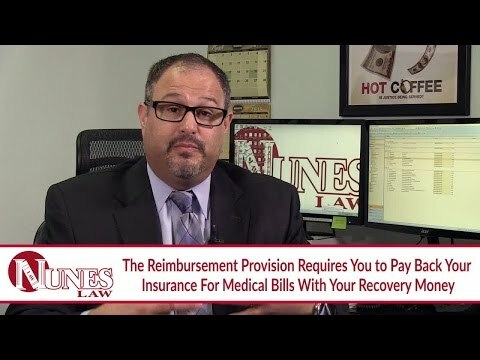 Following a successful recovery for injuries sustained in a car accident, you may have received a reimbursement request from the insurance company. They are allowed to do this because of a clause in the policy. It is important to understand what that clause says. Some insurance companies will be more lenient and allow for a credit or reduction for the amount in attorney’s fees and costs you incurred while pursuing the claim, while others are more stringent and require a dollar-for-dollar reimbursement. It is advised that you speak with an experienced attorney regarding this complex situation. Watch the video to learn more. If you have additional questions regarding your claim and a reimbursement request from the insurance company, I want you to call me at (559) 436-0850. I welcome your call. Visit our educational website at https://www.nuneslaw.com for more videos and media content from our law firm.